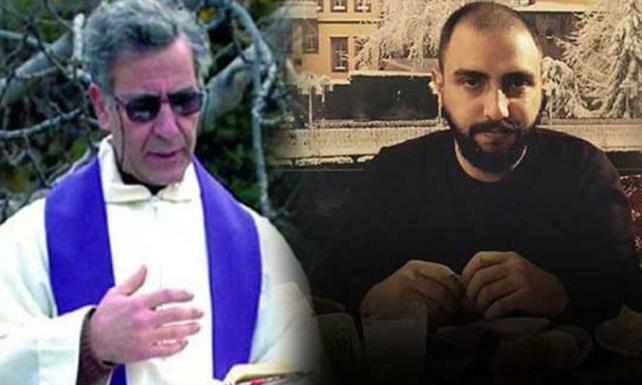 Oğuzhan Akdin, the man who killed Italian Catholic priest Andrea Santoro, has suffered gunshot wounds during an argument in the southwest Turkish resort town of Bodrum, local press has reported. Oğuzhan and his brother, Alparslan Akdin, were both reportedly shot in the leg after arguing with two individuals in Bodrum, the town Oğuzhan has settled in after his release from prison in 2016. Oğuzhan Akdin spent 10 years in prison of an 18-year sentence for murdering the 62-year-old Catholic priest at Santa Maria Church in Trabzon, northwest Turkey, in 2006. Akdin, then a 16-year-old high school student, reportedly shot Santoro dead while he was praying, and was arrested several hours later, still carrying the gun. The murder, according to Akdin’s statements at the trial, had been religiously motivated. The publication of a cartoon of the Muslim prophet Muhammad in the Danish Jyllands-Posten newspaper had stirred up a wave of controversy around the globe the year, and outrage at the cartoon had inspired anti-Christian coverage in the Turkish press. Akdin was sentenced to 18 years and 10 months for premeditated murder in 2006 after a trial in which he reportedly expressed no remorse. He was set free in 2016 after the July 15 coup attempt – one of 31,482 detainees released to make room in Turkish prisons for the tens of thousands jailed in the post-coup crackdown. The year after Akdin murdered Santoro, Ogün Samast, another teenage native of Trabzon, was put on trial for the January 19, 2007 assassination of Hrant Dink, a Turkish-Armenian thinker. Two Turkish converts to Christianity, Necati Aydın and Uğur Yüksel, and a German Christian, Tilmann Geske, were tortured and killed at a bible publisher’s headquarters in Malatya in April 2007 by a group of Turkish assailants. The killing was also reportedly religiously motivated. Rahip Santoro’yu gerçekleştirdiği silahlı saldırıyla öldüren Oğuzhan Akdin ve ağabeyi Alparslan Akdin silahlı saldırıya uğradı.